This brochure has been prepared by the Maryland State Bar Association’s Public Awareness Committee. It is intended to inform the public and not serve as legal advice. Entering a franchise arrangement is one option to start your own business with minimum risk. Although some franchises offer tried and true plans for business opportunities, prospective franchisees must be wary of franchisers who appear to offer sure-fire methods for success while struggling themselves to stay alive in the market. The mere fact that a business is franchised is not a guarantee of its success. If you are considering entering a franchise agreement, be prepared to do the same research and careful planning that go with any start-up venture. Just as in any business venture, franchised businesses are subject to market fluctuations and economic trends. You should obtain a thorough analysis of an area’s demographics to decide if the potential location is prime for such an operation. Just because a restaurant is successful in southern California does not mean it will be successful in Maryland. Evaluate your knowledge of the franchise business. How much, if any, experience do you have in the area? If you do not have much experience, decide whether the franchiser’s training program will compensate for your lack of experience. Be willing to devote a great deal of time, effort and money to the operation. Franchisers often require that the franchisee be personally involved in the day-to-day operations of the business and personally guarantee the financial obligations of the business. Do not be deceived. You will not simply negotiate the deal and wait for the profits to roll in. Find out how many franchises the franchiser owns. 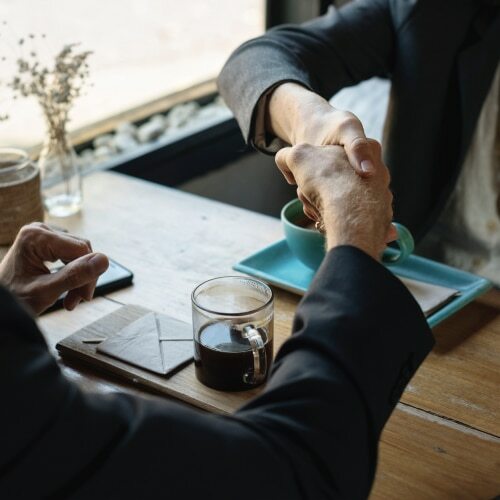 Significant franchiser ownership may show the franchiser’s confidence in its product and create common interests between the franchiser and franchisee. The cash needs for the franchise operations are similar to any other start-up business. As a franchisee, you must pay a franchise fee in addition to financing the premises, equipment, advertising and operating capital. Franchisers will usually provide an estimate of capital required to start, but it is best to obtain an independent evaluation. As a franchisee, you will be required to follow the franchiser’s operational requirements. Often, such requirements are all-encompassing. Therefore, if you are an independent person who prefers to do things your own way, you should evaluate whether you can operate within the structures of the franchise. After narrowing down the field and deciding upon one or two franchises, carefully scrutinize the franchise agreements. Depending upon the franchiser, you should be able to successfully negotiate some terms of the agreement. Franchisers generally will not agree to major variations; however, the widely-held notion tha franchise agreements are nonnegotiable is not true. Below are some issues that may arise when reviewing franchise agreements. Although these issues will not arise until negotiations begin, keep them in mind when comparing franchises in the first stages of investigating business opportunities. You will be required to pay a franchise fee set by the franchiser. Usually, they offer two main selling points: a trademark and a marketing or business plan. Potential franchisees should assess the strength and image of the trademark, and its potential confusion with other trademarks. Consulting an Intellectual Property attorney if possible, may be helpful in making such an assessment. Moreover, the franchise, agreement should contain specific representations regarding ownership and genuiness of the trademark. The franchise agreement should also obligate the franchiser to indemnify you, the franchisee, from any claims by third parties challenging the validity or use of the trademark. Bearing in mind the potential location of the operation, you should arrange for an independent evaluation of the business strategy. In addition to the up-front franchise fee and royalties that you may be required to pay, additional hidden costs may be associated with the franchise operation. These hidden costs can come in many forms such as accounting fees, lease location expenses and supervision fees. Furthermore, the franchiser may be receiving additional sources of revenue from the franchise arrangement, such as rebates from suppliers. You should carefully consider the geographic scope of your proposed franchises territory while keeping in mind its location and your ultimate business plan. The franchise term is an issue that is sometimes disputed. Franchisers typically grant terms of eight to 15 years. You, as the franchisee, should ask for a term that allows you to establish the business and recover your capital costs. Be careful; franchisers can terminate some franchise agreements at will upon written notice to the franchisee. Although the franchiser may insist on flexibility, it is not in your best interest, especially if you must pay a substantial up-front fee. You and the franchiser must also agree upon: the ability to renew the agreement; what will happen to the franchise if the franchisee dies; whether the franchiser can sell competitive products; and the amount of ongoing services that the franchiser will provide during the term of the agreement. While these issues are too complicated to consider here, be aware that important business and legal issues arise when entering a franchise arrangement. You should consult a lawyer and an accountant before entering such an arrangement. Obtain information from several sources. First, ask the franchiser for a list of all existing and past franchisees with names, addresses and telephone numbers, and call as many as possible. Ask questions about the business and about the franchisers representations. Any reluctance by a franchiser to provide this information should cause concern. Next, each franchiser doing business in Maryland must register with the State. Registration requires the franchiser to file a disclosure document, called a prospectus, which contains important information describing the franchise. By law, the prospectus must provide pertinent details about the franchise offer, including the franchise fee or information about the way the fee will be set. Moreover, a franchiser must provide a franchisee with a copy of the prospectus and copy of any agreement involved in the sale of the franchise. Such copies must be provided either the first time the franchiser and franchisee meet, or within 10 days before any contract is signed or payment is made that relates to the franchise. And finally, the International Franchise Association (IFA), a trade organization located in Washington, DC provides information about franchise opportunities, individual franchisers and franchising arrangements. The IFA makes this information available to the public through a series of books, tapes and pamphlets. For a list of materials, write or call International Franchise Association, 1350 New York Avenue, Suite 900, Washington, DC 20005, (202) 628-8000.